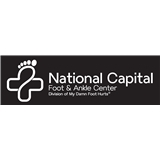 National Capital Foot and Ankle (Potomac) - Book Appointment Online! The overall visit went well. However, I was not happy at all about the almost 2 hour wait before I was even seen. Not too keen on that. They also had my paperwork confused with another patient.